Data – it’s a crucial consideration for any business in any industry today. Data workers are likewise crucial, but there are some very important differences here. For instance, while data science and data analytics might sound pretty much the same, they’re not. They’re related, and share some similarities, but they are also worlds apart. Without at least a rudimentary understanding of the differences, it can be impossible for business owners and decision makers to make informed choices. 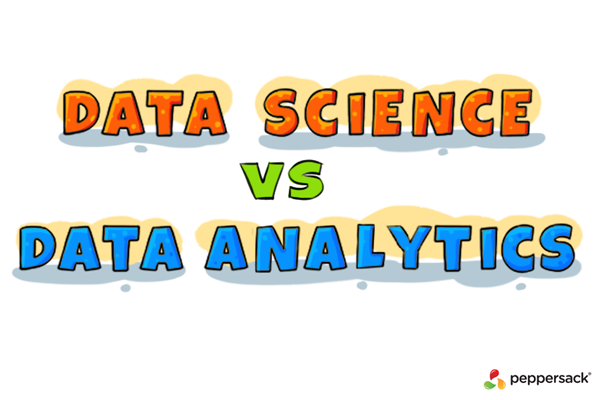 We’ll start with a look at data analytics, which shares similarities with both data science and business intelligence. This sector strives to provide insight into known issues – either those you know, or those you know that you don’t know. Both are at least somewhat known quantities. You’ll find subdivisions here – descriptive analytics, predictive analytics and more. These are concerned with correlative analysis, and defining the where and who of an event in the future. For instance, a company might use data analytics to determine where the best store locations would be to sell axes, saws and woodworking tools. Data science, on the other hand, is all about the unknown. It’s about uncovering insights that you didn’t know existed, and had no clue might be possible. It also involves statistics, scientific methodology, causation rather than correlation, and mathematics. For instance, when applied to website stability, you could find that a slowdown of just a second could cost you a great deal in terms of profit. Actually, Amazon discovered this very fact, and they’ve worked hard to keep their page load times as fast as possible as a result of it. It is also about utilising vast repositories of data to create visualisations that communicate information better to human brains. Specialists in this field must also have a good grasp on product design and development, on consumer behaviour, on variables that might affect a particular outcome, such as storms, an early frost, or a shortage of a vital material. So, in a way, this field incorporates much of what’s found in data analytics, but goes much farther. Data analytics, on the other hand, incorporates very little of what’s found in data science. Those differences extend to the data workers involved with each specialty, as well. For instance, a data scientist must have not only the ability to make data tell a story, but in-depth engineering experience, as well as statistical training and knowledge of machine learning. Today, both data analytics and data science provide crucial solutions to dealing with information within a business. The most visible such issue is “big data” but neither specialty is solely involved with handling big data. Which is more important for your business today? For most, it’s data science, although data analytics is also important. If you’re concerned because your business has no resources in the realm of data science, Peppersack can help. We’ve built our reputation on providing cutting-edge solutions to our clients’ needs, and that includes dealing with big data and data science.